Bradshaw Tree Services solves its 12 inch chipper problem! 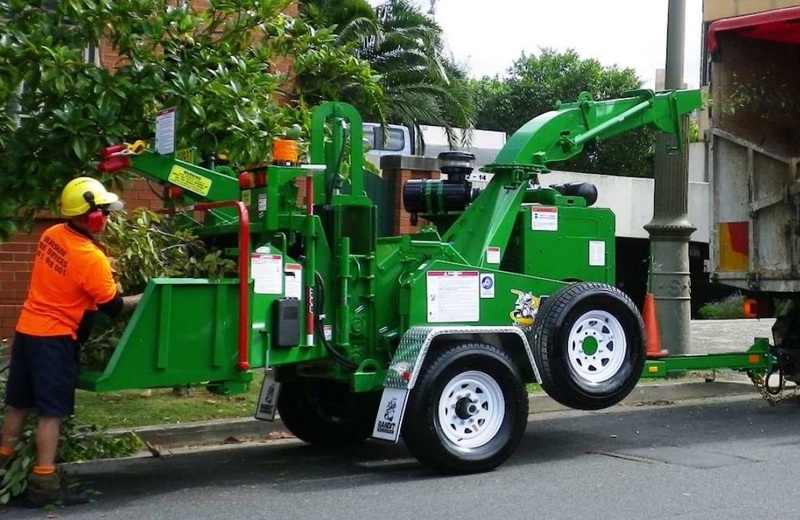 Sydney arborist, Tristan Bradshaw from Bradshaw Tree Services was not happy with the performance of his existing brand of 12 inch drum chipper. Even though the machine was less than two years old, constant frustrating breakdowns and lost production were making things a great deal harder and more expensive than they needed to be. To solve his dilemma Tristan sold the non-performing machine and has taken delivery of one of Bandit’s Model 990HD, 12 inch capacity drum chippers. Problems solved, as Tristan now explains. “After testing the Bandit 990HD on quite a few jobs I was sold. First thing we noticed was that it chips material up to 12 inch diameter every bit as well as my larger 19 inch Bandit, while being compact enough to get down suburban driveways and navigate the tight streets of Sydney. “And thirdly, having owned our 19 inch Bandit chipper for a few years we know the Bandit guys will always give us the back-up service and parts support we need, when we need it. Bandit has always looked after us.” says Tristan. The 990HD has a longer, tapered discharge transition out of the chipper housing flowing up into the discharge chute. This clever design allows the 990HD to throw material much harder than other 12 inch drum chippers, compacting trucks better and reducing down time tipping mulch. The heart of the 990HD is its oversized 24 inch diameter drum, equipped with four staggered knife pockets and dual edge reversible knives. Four knives allow for more cuts per drum revolution and a smoother chipping action with longer knife life. Deep knife pockets that capture and throw material out of the drum housing, side drum paddles and adjustable air vents all enhance the 990HD’s amazing chip throwing power. Bandit’s patented power slot positioned on the back side of the drum housing increases air flow, all but eliminating the chance of blocking. On the rare occurrence where the chipper might block, chips are easily removed through the power slot. The 990HD comes standard with a 114hp Cat Turbo diesel engine, 54 inch wide infeed hopper, hydraulic winch and dual horizontal feed rollers in Bandit’s proven slide box design. Its durable construction and heavy-duty components allow it to easily outperform all other chippers in its size and weight class. Importantly, because it’s a Bandit, it comes with a Five Year Limited Warranty so you know you can expect many years of dependable service and excellent re-sale value. If your chipper is underperforming and costing you time and money, we suggest that you follow Tristan’s example and get the problem solved. For more information please visit www.bradshawtreeservices.com.au and www.banditchippers.com.au.